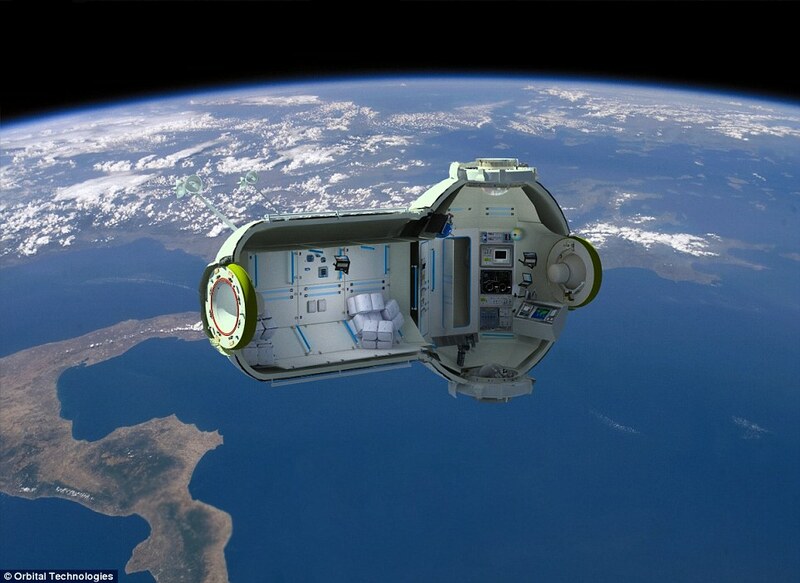 Just getting there will be an adventure in itself – it will take two days aboard a Soyuz rocket – and it won't exactly be a budget holiday: A five-day stay will cost you £100,000, on top of £500,000 for your journey. 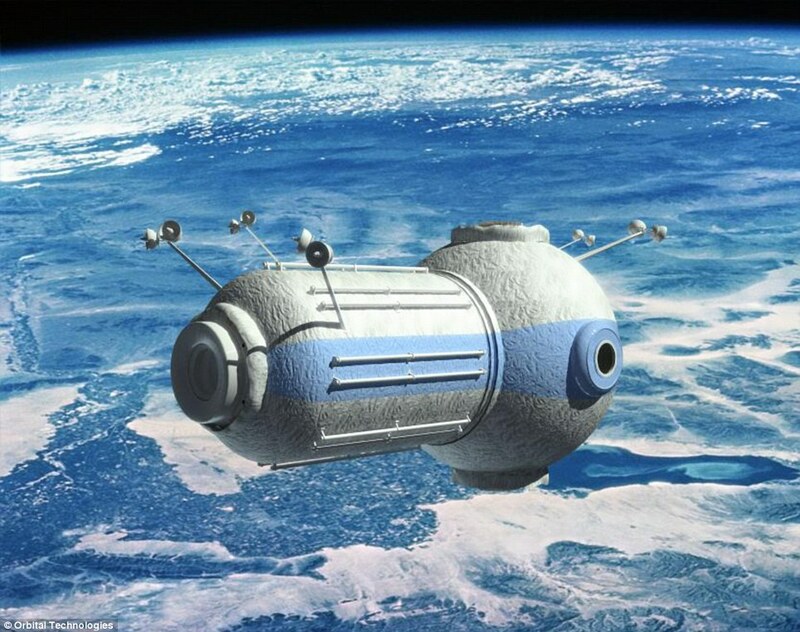 The hotel, or the Commercial Space Station to give it its proper name, is due to open by 2016 and, according to those behind it, will be 'far more comfortable' than the International Space Station used by astronauts and cosmonauts. 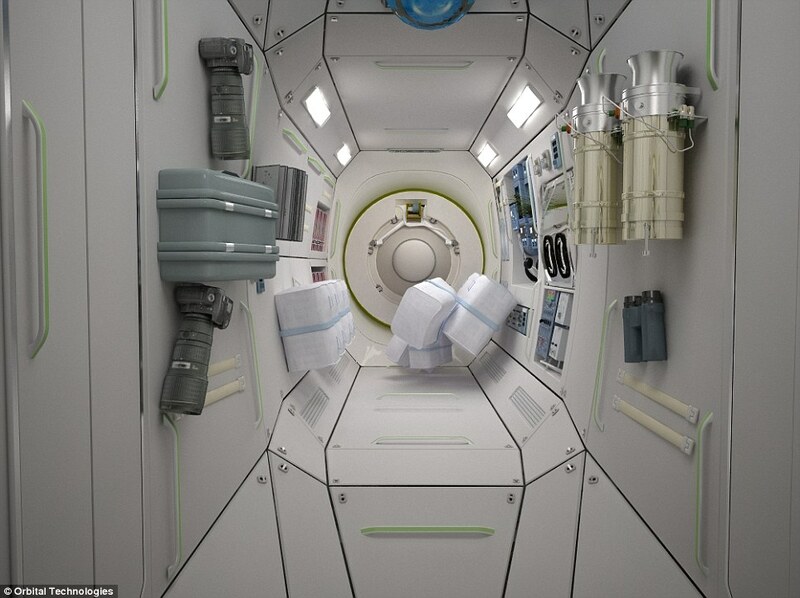 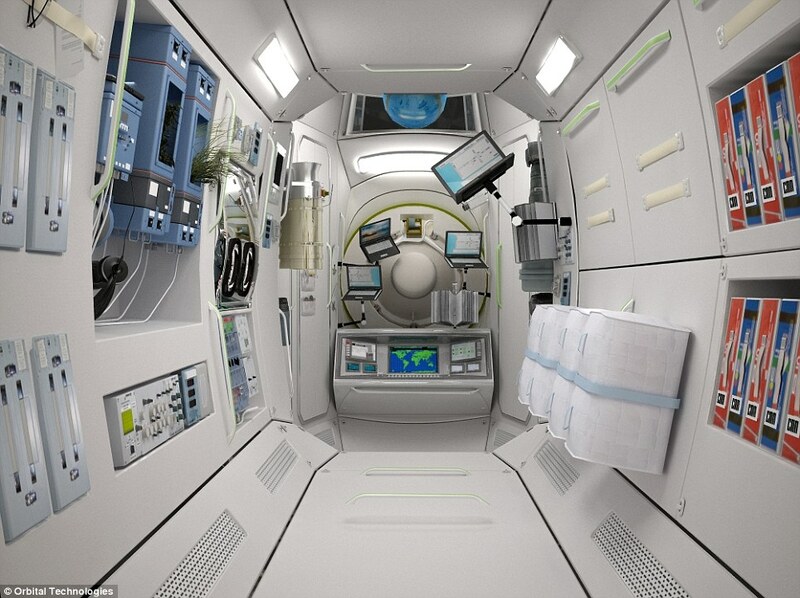 In the weightlessness of space, visitors can choose to have beds that are either vertical or horizontal, while showers will be sealed affairs to stop water going where it shouldn't (those aboard the International Space Station must make do with sponge baths until they return home). 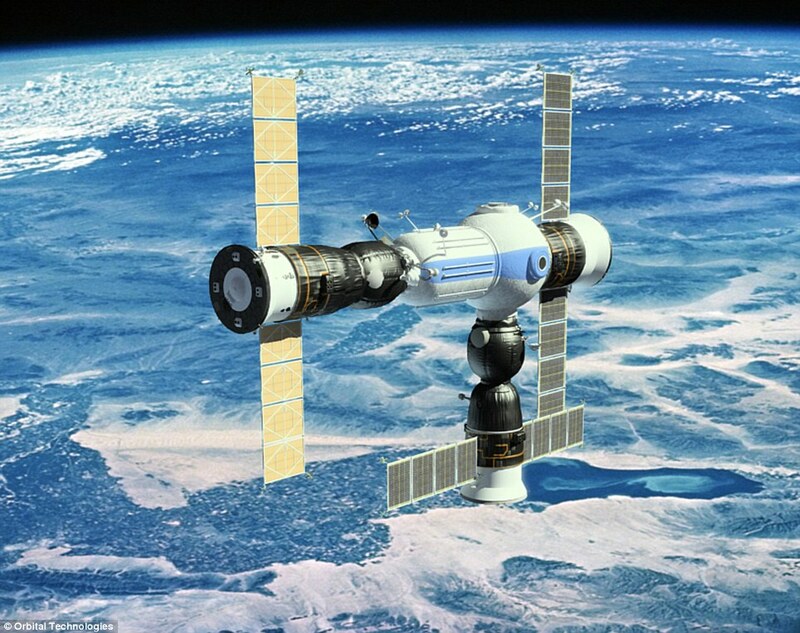 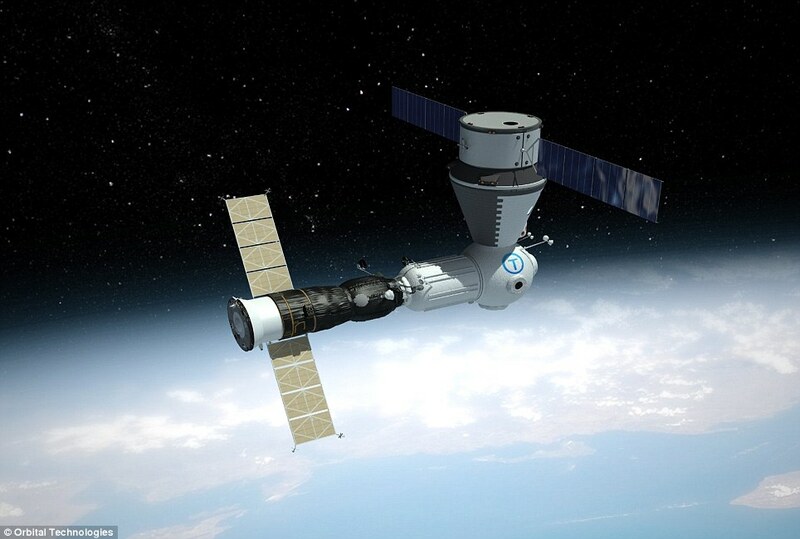 Sergei Kostenko, chief executive of Orbital Technologies which will construct the hotel, said: 'Our planned module inside will not remind you of the International Space Station. 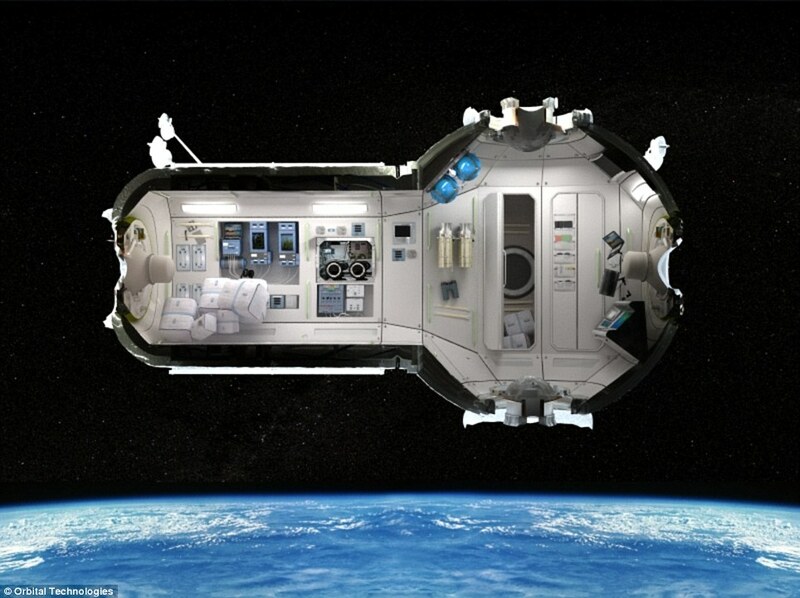 A hotel should be comfortable inside, and it will be possible to look at the Earth through large portholes.